For the past few years, I've gone just about every Sunday (sometimes Saturdays) to visit someone who was a big part of my life - "Miss Hazel" Jackson. I knew her two ways. First, as long as I can remember, she was the bookkeeper for my daddy. For decades, she would sit at her desk in his hardware store which was sold in the early 1970's. After that, Daddy opened a railroad business, and Miss Hazel moved down there and kept things in order. She retired at the age of 83. She was also the mother of my best friend growing up. Her daughter Linda and I did everything together. We even dressed alike sometimes (like Easter of the third grade). We had identical lime green fluffy dresses, navy blue "duster" coats, black patent leather shoes and pocketbooks and some matching lime-green contraption in our hair. Linda's looked great, but mine sent my blondish hair into two giant fuzzy balls on either side of my head. Linda isn't ashamed of the picture of us, but I am. After my parents died in 2004 and 2007, I adopted Miss Hazel as my other mother. She had actually been my mother's best friend and visited her almost daily. She was Mother's confidante and had the most gentle, sweetest manner about her. Then, it came Miss Hazel's turn to be semi-homebound. In her early 90's, she began using a walker, but her mind was as sharp as a tack. Since getting to church was such a hassle, I would play hymns for her while she sat and listened. Neither of us could sing, so we had to make do with just the music. She was always so appreciative. I enjoyed our sessions because I was able to revisit all the old hymns I knew from childhood. We would go on for at least an hour or more, flipping through hymnbooks, including the old Broadman Hymnal with shaped notes. This is the first hymnbook I knew growing up in the Palmetto Baptist Church. I still remember the page numbers to some of my favorite songs. Since Miss Hazel spent part of her days in a chair by a big window, her son and I set up some bird feeders. Miss Hazel called the visitors "my babies." Then, I got the idea to make her a garden right there where she could see it. Her peonies on the other side of the house were out of view, as were the camellia bush and some azaleas. A friend, Richard Grace, brought a truckload of super-heavy cobblestones from the stash at the farm. We used them to make an oval shape. Then I started digging. It was like trying to get a shovel into concrete, the ground was so inhospitable and hard. Eventually, though, I piled on enough good soil and manure to get some things growing. In the fall, I'd set out pansies around the pink and red 'Knockout' roses. The latter would sometimes bloom until Christmas. Every year, I would add something - Asiatic and Oriental lilies, 'Becky' daisies, black-eyed Susans and daffodils, to name a few. I moved some daylilies from the side of the house into the bed. A 'Mini-Penny' hydrangea I put in didn't bloom for four years, so I took that out. In summer, I planted those red begonias that grow up rather tall. I also planted tibouchina (which is blue) and a mandevilla (pink one year, red the next) to last until frost. The crowning touch was a bird bath, a Mother's Day gift from her son Eddie and daughter-in-law Peggy. This latter made the garden look very official, and the birds loved it. On the last Sunday in February and the first Sunday in March, I arrived to find Miss Hazel sitting at the computer on the sunporch, playing solitaire. We had our hymn sing, as usual, and read the news from the Palmetto Baptist Church. I promised her that the next week we'd go for a walk outside if the weather was pretty. But, when I got there for my visit, I found her sitting alone in a darkened room, totally incoherent and very ill. She was still in her bedclothes and weak as a kitten. I won't go into the ensuing events, but last Sunday morning - a week later - she died. I'm still processing how sudden it all was. I know that things can change fast when you're 93 years old, but it all seemed to come about out of the blue. Sunday is coming up again, and it will never be the same. Miss Hazel served as a touchstone to my childhood and my hometown and my parents. 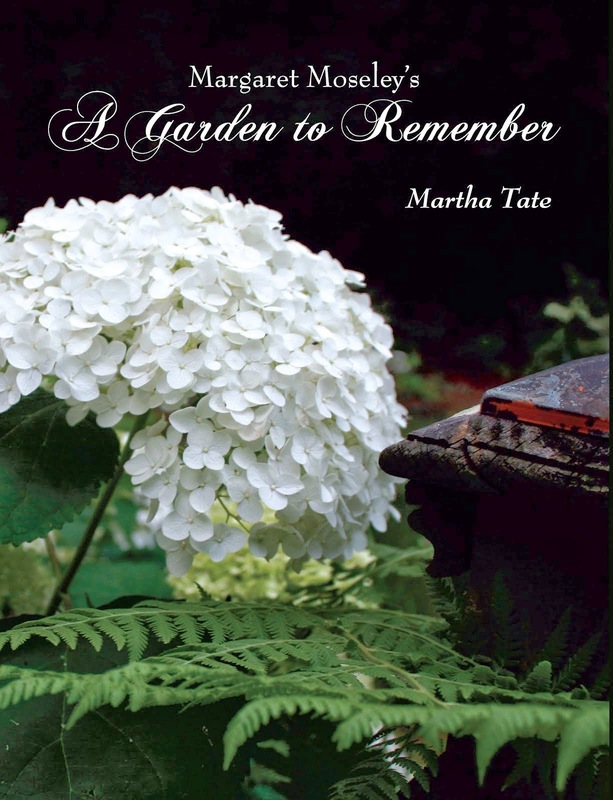 She was the most gentle person, always hard-working, never said an unkind word about anyone and always so appreciative of the hymn playing and the little garden outside her window. Pictured above is that garden in late spring of last year. It was the view Miss Hazel saw from her chair. I also planted some borders in front of her house with yellow tree roses, ferns, and seasonal annuals. Last year, a pink, re-seeding petunia appeared and was absolutely beautiful (where did it come from? I will never know). Confederate jasmine was trained up to the roof on either side of the porch. She could see this garden when she sat and played solitaire on the computer. That little oval garden was surprisingly difficult to get started. And, in summer there were so many mosquitoes, I would have to saturate myself with Deet to go out there and weed. But, it will be the most important garden I'll ever plant, and I'm so glad that for a few seasons, this dearest person could watch the flowers grow and the birds splash around. Actually, I think I got so much more out of all of it than did she. It was so comforting to be in her presence, and I will miss her so much. In service to others, we feed our souls. Such a beautiful story that touched my heart. Thanx for sharing, and may you find comfort in your memories.